Begin by speaking to Explorer Jack, north of Lumbridge Castle. 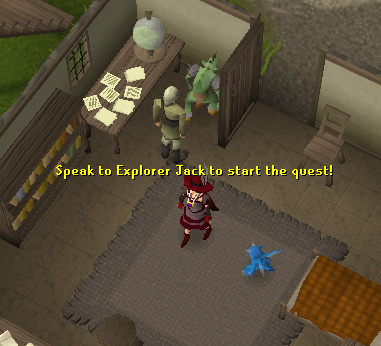 To start, speak to Explorer Jack, just north of Lumbridge Castle. Ask him if he has any more quests for you. He will tell you that a wandering snow imp told him about riches hidden in the Land of Snow. 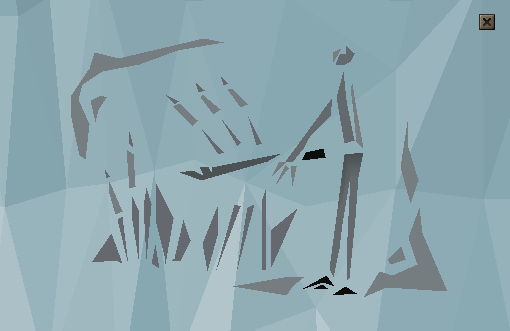 Jack wants you to get these fine stones within the cave, and will tell you to speak to one of the three head snow imps to get teleported to the Land of Snow. 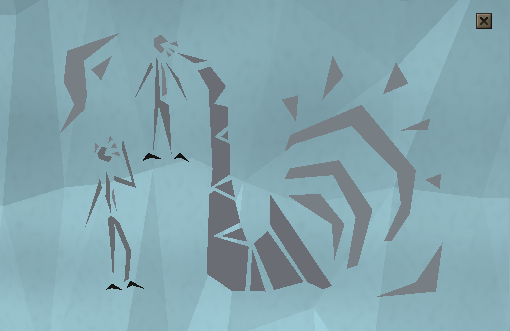 Note: You can also ask Isidor in the Wizard's Tower to teleport you by using the phrase 'Ectosum glissendo'. After you have teleported, you will arrive at The Land of Snow. Slide across to the eastern side where the cave is. You will find a small room covered in ice after you squeeze through the cave entrance. What you'll need to do is to reach the exit on the other side of the room by sliding to it. You can slide in horizontal, diagonal and vertical ways. You'll need to go through 6 rooms till you reach the last one. Here's a map of all 6 rooms. While in these rooms, you will find a red line around the perimeter of the rooms (check number 3 on the map above). After you study the wall, you can use the hammer and chisel on that wall to study, as it will give 2,000 Crafting experience. Note that you need 30 Crafting to do this. 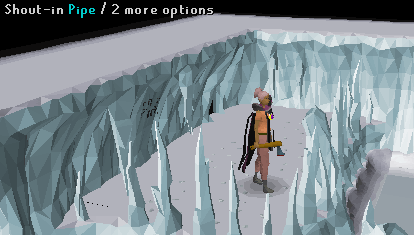 Climb the roots in this room with 55 Agility, and you will get 10,000 Agility experience. You will need to push the pillars inside the holes. When you are done, go back to the previous room and go up the ledge of ice. 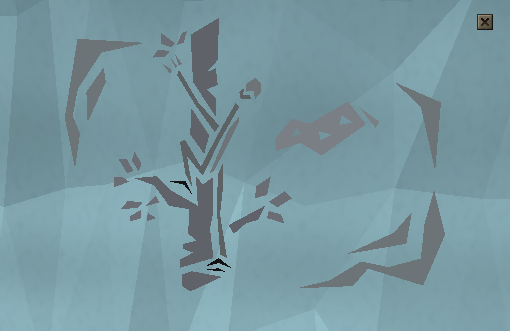 If you have 80 Woodcutting and you are wielding an axe, you can chop the roots for 20,000 Woodcutting experience. Note: You can only do this after you have pushed the stone blocks in position. 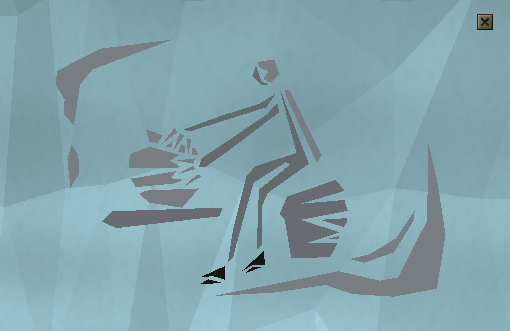 When you get to the last room, a waiting yeti will roar and you'll slide out of the room. Now how is this possible? Return to the penultimate room, and you will see two stone blocks. Both of them need to be pushed around to create a path on the north side of the room. You can only push them around while on firm ground. After both stone blocks fit into place, return to the prior room, go up the ledge of ice in the north-east corner, squeeze through the crevice, slide across the room, squeeze through the crevice once again, and study the wall on the western side of the room. You should come up with this. Now you are able to shout in the pipe. You will see a short cut-scene of the Yeti falling unconscious. Go back, return to the last room, pick up the stones behind the unconscious Yeti, and exit the caves. A reward lamp, giving 500 experience to a skill of your choice. 2,000 Crafting experience, 10,000 Agility experience and 20,000 Woodcutting experience if you got it in the cave. 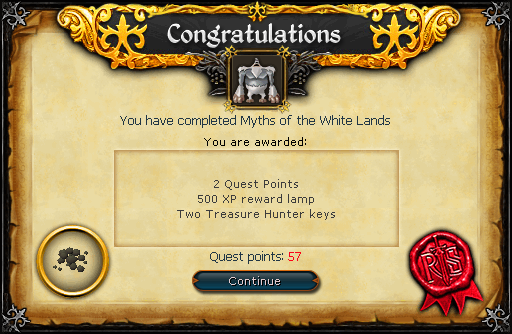 After completing the quest, you can wait 15 minutes (or log out and in again) and then receive an additional 5,000gp from Explorer Jack. He further examined the 'stones' and then sold them to a witch. [^] Speak to Explorer Jack. [^] Talk to a Snow Imp to be teleported to the Land of Snow. 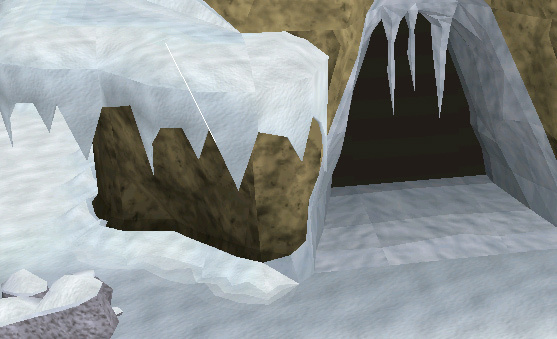 [^] Slide across the ice to the cave entrance, and enter the cave. [^] Slide across the floor of each of the six rooms. Tip: Some rooms contain features which let you gain extra xp (see above). [^] Enter the seventh room, only to be forced by a yeti to retreat. [^] Push the stone blocks in the penultimate (sixth) room into place. [^] Return to the fifth room, enter the crevice in the northeast corner. [^] Slide across the next room, squeeze through the crevice, and study the wall. [^] Shout into the pipes. [^] Head back through both crevices, follow the path back to the Yeti's room. [^] Pick up the stones behind the Yeti and exit the cavern. [^] Talk to the three snow imps. [^] Bring the enchanted dung to Explorer Jack.